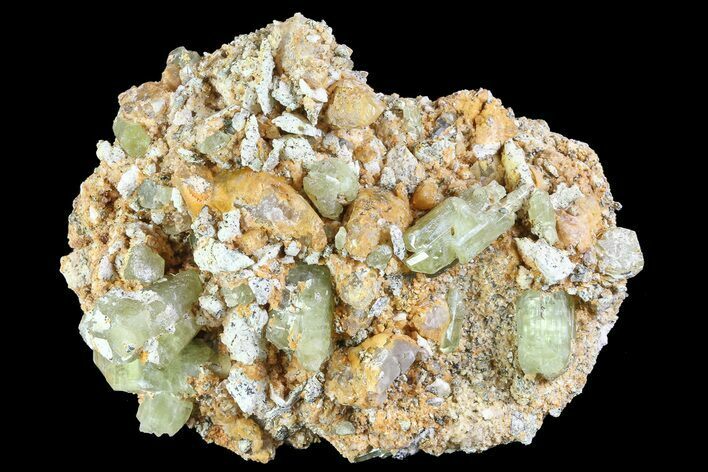 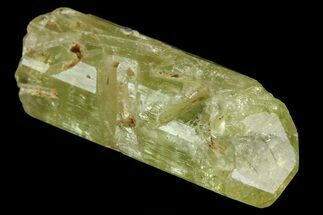 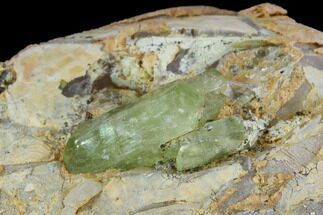 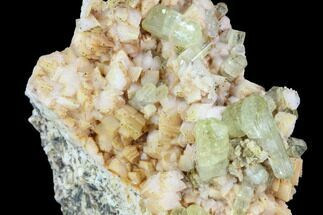 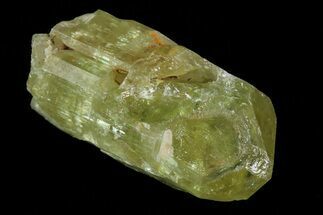 This specimen contains several beautiful, greenish-yellow apatite crystal that formed from a feldspar aggregate. 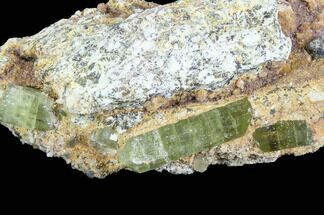 This aggregation also contains calcite crystals, throughout. 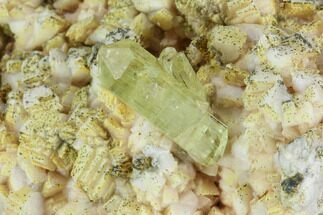 This crystal cluster was collected from Imilchil, Morocco.